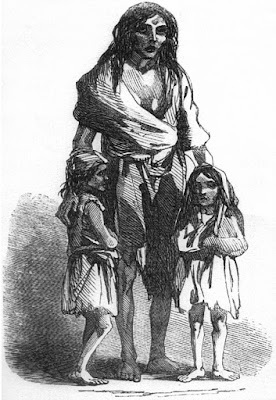 In the early 19th century, many Irish fled their British-occupied native land because of extreme poverty and political oppression. Irish Catholics and non-Church of England Protestants had been persecuted under the British Penal Laws for many years; the Irish were denied fundamental human rights by law. It seemed better to risk a difficult life overseas than certain despair in Ireland. In 1832 some Irish went to New Orleans to dig the New Basin Canal. This was a dangerous and difficult job digging a large trench in a disease-infested swamp without the use of modern machinery. Thousands of Irish died in the process from 1832 to 1838. 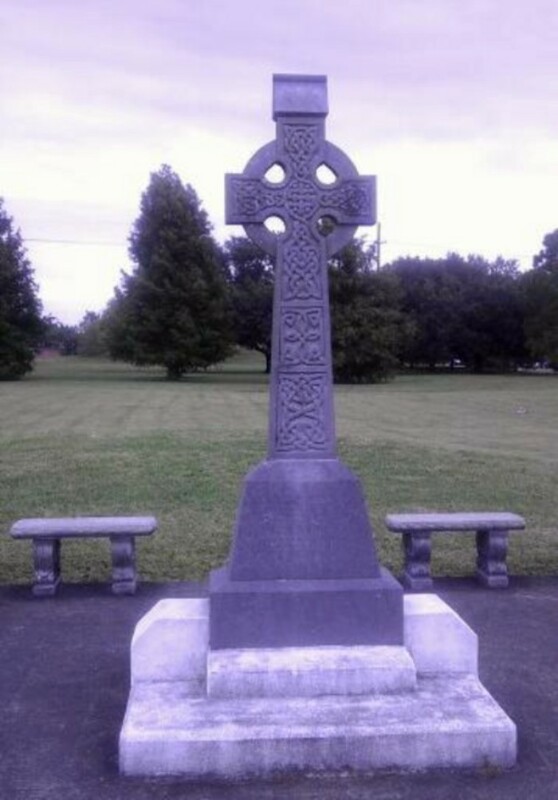 This tragedy was an example of what awaited Irish immigrants when they first arrived in America. Signs read "No Irish Need Apply," in many large American port cities indicating the Irish were not wanted -- they were not wanted as neighbors or as workers. In fact, in the early 19th century the impoverished Irish immigrants were not welcomed at all in most places in America initially. 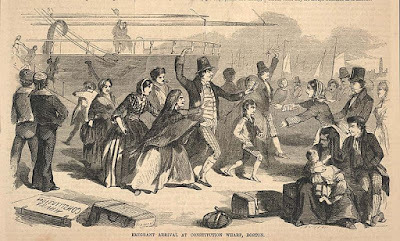 Prejudice was the reason for the anti-Irish hostility -- fear of immigrants, fear of poverty-stricken people, fear of desperate people, and above all a fear of and animosity towards Catholics. It was fear, but it was also hate. That was the nature of prejudice -- fear plus hate. The Irish immigrants were, therefore, reduced to taking the dirty and dangerous jobs that nobody else wanted. 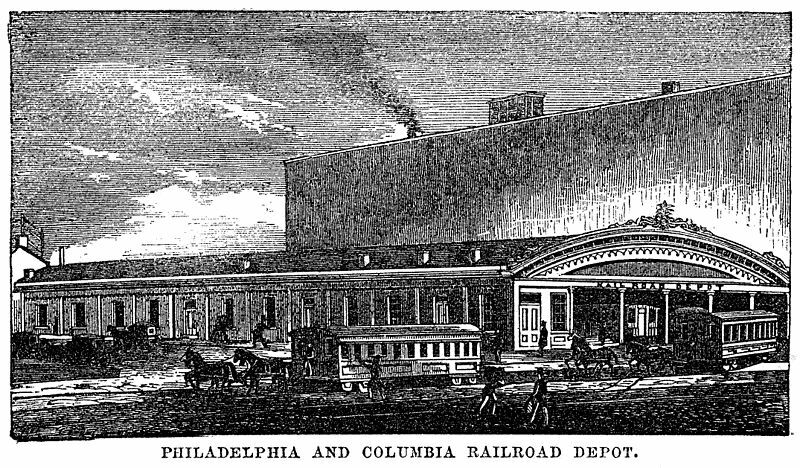 So it came as no surprise that when the Philadelphia and Columbia Railroad wanted to expand westward from Philadelphia to Pittsburgh, Pennsylvania over treacherous, rough terrain -- ravines, broken ground, hills, and streams, a place called Mile 59 -- it sought out cheap, expendable, unskilled laborers who were desperate for any type of work just to survive. The railroad company wanted laborers who, if they got severely injured or killed on the job, nobody would notice much or care about. In short, the railroad company wanted the Irish. 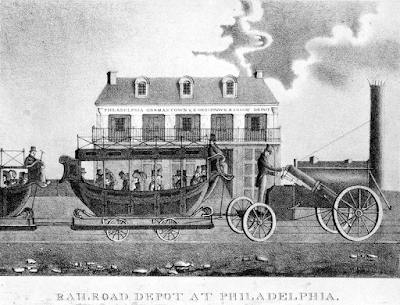 The railroad turned to a man named Philip Duffy, an Irish contractor, who could gather up immigrants desperate enough to do the job. Duffy got 57 men from Ulster (the North of Ireland) -- from Derry, Donegal, and Tyrone counties. Some were young and apparently strong, and they could do the job. But within a few weeks after they started the hard, physical work, all 57 Irish immigrants were dead. 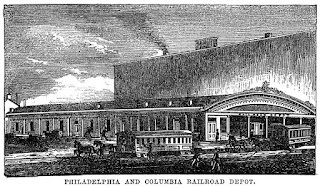 The railroad company claimed they died of a disease rampant in the area -- cholera. Cholera is an bacterial infection of the small intestines resulting in severe diarrhea, vomiting, horrible cramps, and eventually, if untreated, death. It also indicates that the patient probably has lived in poor and unsanitary living conditions. 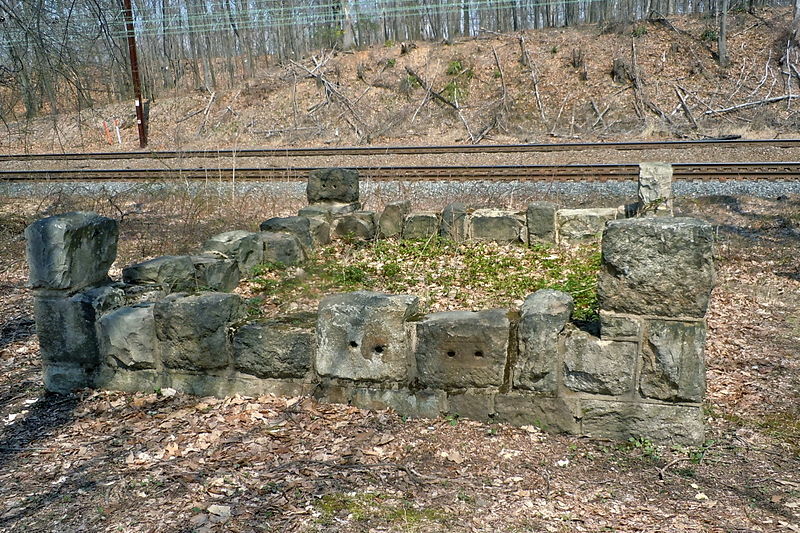 The unfortunate men were buried in graves -- some in groups, some as individuals -- near the work site in the rough Pennsylvania countryside -- in East Whiteland Township. They were buried and forgotten. But ... then came the mystery. Two brothers, in the 1990s, made a discovery based on documents from a relative who once worked for the railroad. 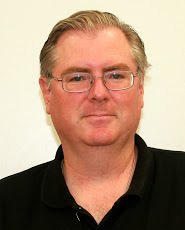 The brothers were Reverend Dr. Frank Watson, a Lutheran pastor, and Dr. William Watson, a professor of history at Immaculata University in Pennsylvania. The researchers found evidence that, while many or even most of the men did die from cholera, some most probably were the victims of blunt force trauma (meaning their skulls were smashed in by a club or hard object) and some were probably shot with 19th century projectiles (firearms, guns). This leads us to believe that the deaths, in some cases, were not just the unfortunate result of a dreadful disease and/or even possibly abusive living and working conditions, but were the result of deliberate murder. On top of this the evidence would indicate that the railroad company and perhaps the political powers-that-be knew of the crime and intentionally covered up the murders. 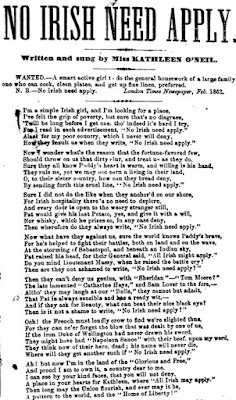 The mentality then was this: who cares if some poor Irish immigrants were killed? Why were the Irish immigrants probably murdered? No one really knows, assuming they were in fact murdered, as the evidence strongly suggests. But part of the reason could be prejudice, a hostility towards the Irish and Catholics. Part could also be the result of irrational fear about epidemics and cholera in general. Kill the Irish and kill the disease, some foolish and hateful people may have thought. It is also likely that a fight or small battle occurred between anti-Irish vigilantes and the Irish workers, since the Irish usually do not take such matters like oppression lying down and typically rebel against them. But this is, of course, speculation. The railroad company would not want news of such a fight taking place -- bad for business and bad for acquiring more Irish labor in the future. The mystery at Duffy's Cut has attained some notoriety. 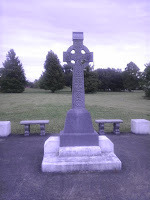 The state of Pennsylvania placed a marker at the work and grave site in June 2004 saying that 57 Irish immigrant workers died there in August of 1832 from cholera, that Duffy was the contractor, and that prejudice against Irish Catholics contributed to their deaths due to a lack of medical care and poor living conditions. In 2012 the remains of a few of the workers (sometimes called "Navvies" for navigational engineers) were properly re-buried at West Laurel Hill Cemetery in Bala Cynwyd, PA -- thanks to researchers from Immaculata University who discovered the bodies' remains. The remains of one body was identified as likely being a young man named John Ruddy, who was only about 18 years old in 1832. Ruddy was from Donegal, and his remains were delivered back to Ireland in a proper ceremony for re-burial in Ireland in 2013. So John Ruddy returned to Ireland after 181 years. The bones of a woman who was likely Catherine Burns were also returned to Ireland and buried in 2015. 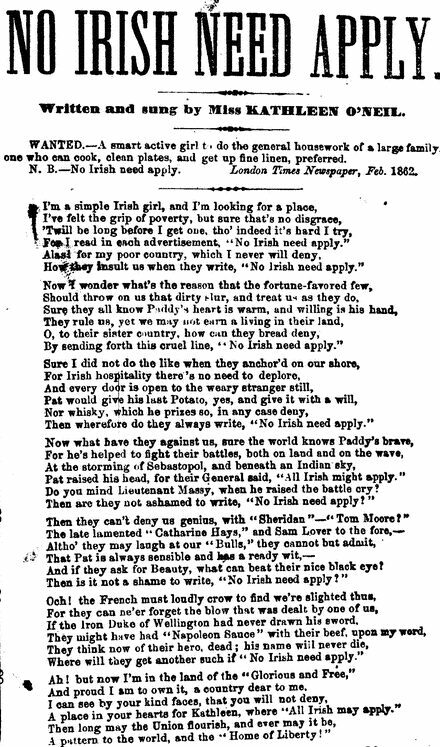 Although the callous mentality of the day in 1832 could not have cared less about the tragic deaths, or the horrendous and probable murders of some destitute Irish immigrants, at least some people in modern times did care. Thanks to the dedicated researchers and the experts from Immaculata University, Duffy's Cut will be remembered. Of special note Duffy's Cut was remembered by a special program by PBS (the Public Broadcasting System in the USA) called "Secrets of the Dead: Death on the Railroad." See Secrets of the Dead. Also, the famous Irish musician Christy Moore made a song about Duffy's Cut. See Duffy's Cut. Furthermore, see this excellent site from Immaculata University with much detailed information on the story of the Irish and Duffy's Cut. See Duffy's Cut. Wall Street Journal article called The Mystery of Duffy's Cut. Wikipedia article on Duffy's Cut; Christy Moore's song. Immaculata University's site on Duffy's Cut.